Design Solution College and Institute of Fashion Designing Indore plays a distinct role in bridging the young talent and textile industry. Fashion Designing is the art of application of design to clothing and accessories. Design Solution is a Fashion Designing College and Institute in Indore which offers an inclusive Training Program. The extensive practical training equips live projects and simulations. The trainers of “Best Fashion Designing College and Institute in Indore” are Autodesk Certified subject specialist, corporate professionals and providing in-depth study at Particular Courses. Design Solution College and Institute of Fashion Designing’ offers one or two year Diploma and 3 Year Undergraduate Degree Program which prepare students for a successful career in this exciting industry. The program guides students to design fashion that is not only innovative but also practical – fashion that can make the transition from the runway to the racks Course focuses equally on creative innovation, technical skill and commercial opportunities. Fashion Designing is a specialized branch of education that focuses on providing in-depth knowledge of design and aesthetics, which fashion conscious individuals may utilize further to ideate and design clothing and accessories. 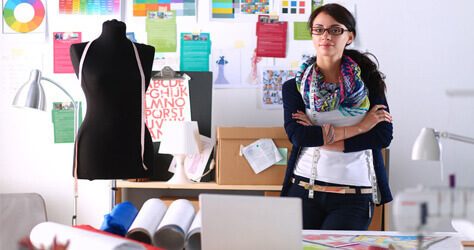 Receive specialized education in fashion technology and Design. Interact with a dedicated Fashion Design academic and professional faculty. based industries and across segments, from luxury to fast fashion retailers. Join an international network made of students and alumni worldwide. Get Expert Career Counselling Advice By Our Expert !